A bold track suit designed for workout warmups. 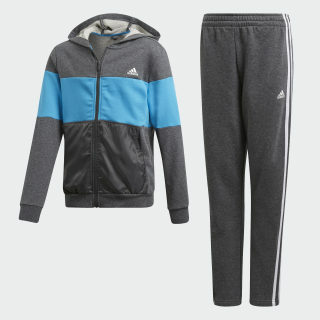 Take the edge off early morning workouts in this junior boys' track suit. 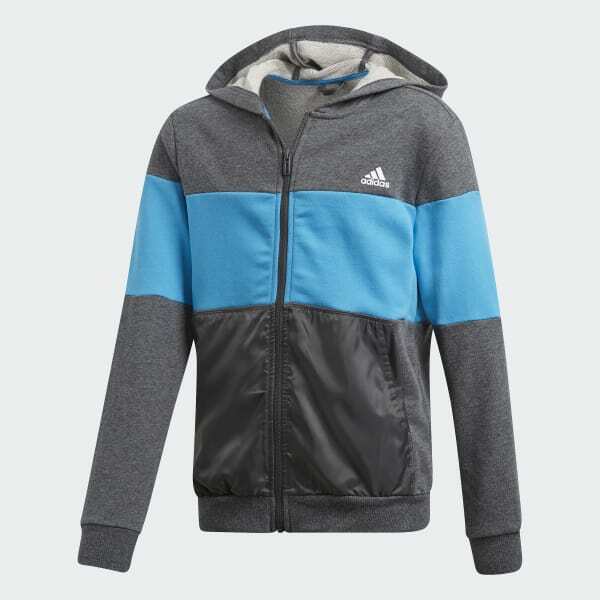 The full-zip jacket has a regular fit, while the pants are easy to wear and neither too loose nor too snug. The French terry is made of soft cotton and recycled polyester.